Pet ownership is highly rewarding but not without challenges. One of the first challenges is picking the right pet for your family. No matter what the type of pet you choose plan carefully before adding to your family. Pets are a commitment, and you want to make the experience as happy for them as it is for you. 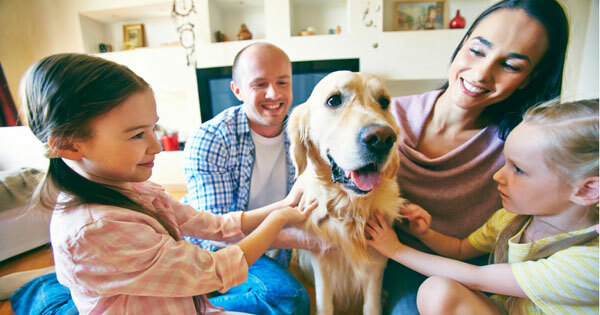 Here are five points to keep in mind when selecting a pet. A pet should fit your family’s lifestyle. A pet’s suitability changes based on where you live. Keep this in mind when selecting a pet. A farm is different than an apartment in the city concerning pet ownership. Your work schedule, time away from home, number of children, and the ages of your children are all important factors. Sadly, many people don’t give this step the care it deserves. The result is our overcrowded shelters. The type of pet your lifestyle can accommodate should always be the first thing you think about. Do You Already Have Any Pets? Bringing a pet into a home with existing pets isn’t always easy. Some animals don’t get along well, and in some cases, fighting can occur. Some pets want to be an only pet. So if you already have a pet make sure they’re a part of your decision-making process. What are you looking for in a pet? Ask yourself if you’re looking for a companion animal, a working animal, a cuddler or a jogging buddy. Different pets fill different needs and require different amounts of care. A pet’s needs can vary. Different breeds require different care as do different species. A large dog, for example, requires more room for exercise while certain breeds of parrot can live for decades. Veterinary care, special food, housing, attention needs, and space should also be carefully reviewed before selecting a pet. There are local laws to consider. Every state is different concerning pets. What’s is legal to own in one state won’t necessarily be legal in another. This doesn’t only include exotic pets either it can also cover certain dog breeds. Consult state and local laws before adopting to avoid potential legal issues. You’ll also want to check with your landlord if applicable and review any leases for pet-specific rules. Contact Us Today If you have questions or would like to schedule an appointment, please call us at (239) 500-0105 or fill out our contact form by clicking the “Contact Us Today” button.